The most significant difference between a prenuptial and postnuptial agreement is timing – postnuptial agreements are entered into after the couple has already married. It is a written contract executed after a marriage or civil partnership which determines how individual assets and finances will be administered in the event of a divorce or separation. The ideal course is to negotiate an agreement before marriage (prenup) and confirm the agreement after the marriage takes place. Because the postnuptial agreement (postnup) is entered into after the couple has married, the terms are not viewed as the concession one party makes to the other for their willingness to marry. If you require assistance from our specialist postnuptial agreement solicitors you can contact us on 01204 377600 or emailparalegal@afglaw.co.uk. You can also use our online contact form. When would a postnuptial agreement be appropriate? In marriage the individual assets become matrimonial assets; the postnup is an attempt to secure individual claims on those assets – after the couple has already married – should divorce occur. Is a postnuptial agreement binding? The postnuptial agreement is entered into after the couple has married. Judges have ruled that agreements between spouses made any time after the marriage can be binding even if they do not reflect the decisions a court would have made upon divorce – assuming certain criteria are met. A court will likely uphold the terms of a postnuptial agreement as long as the court considers the terms just and so long as there is no evidence of unfair exploitation of superior strength or duress, undue influence or unfair pressure to sign. 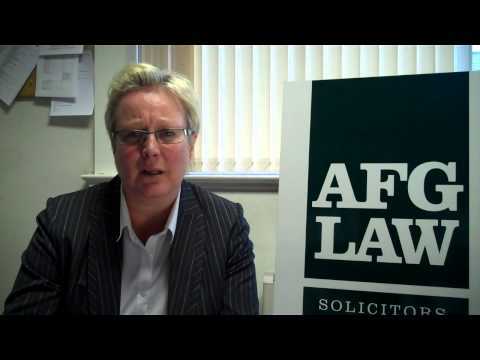 AFG LAW in Bolton can give specific and factual advice about postnuptial agreements; for further information please contact the family law specialists on 01204 377600 or email paralegal@afglaw.co.uk. We also have a online contact form if you prefer.